turned to mush, indicating the onset of the scourge of beasts. endless hunt. It is a fate that no hunter can escape. You will need to acquire this item before you can enter any of the new areas, so getting it should be a high priority. 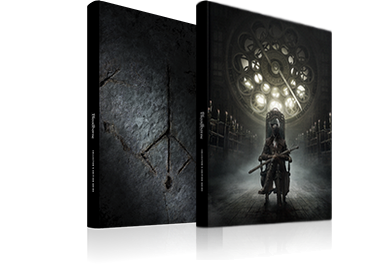 To make it appear you will need to first progress through the main game until you have defeated Vicar Amelia in the Grand Cathedral and inspected the altar at the back of the room to advance time to Night. 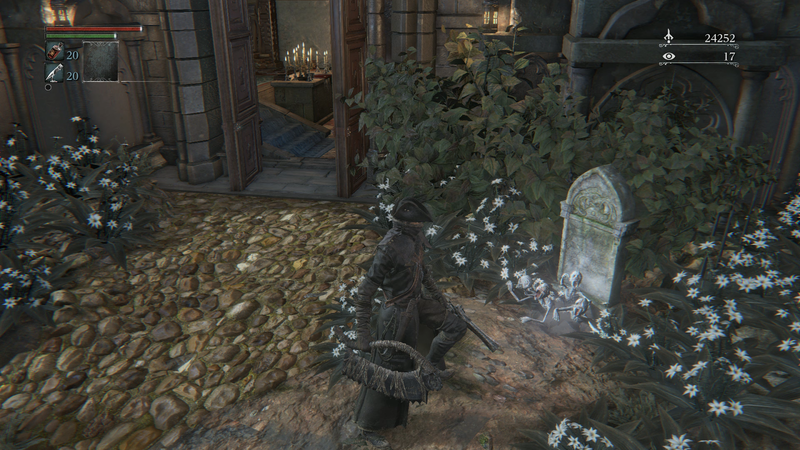 At that time you can return to the Hunter's Dream and you'll find this item at the base of the stairs, exactly where the Messengers gave you their gifts at the start of the game. 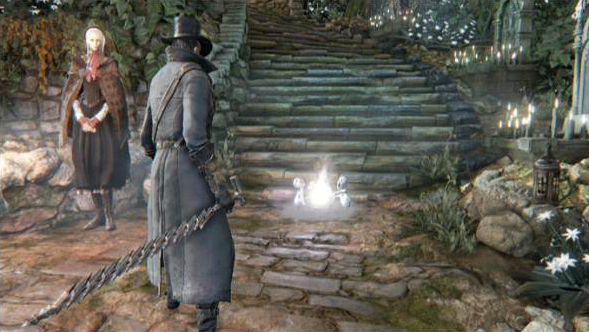 Treasure in (Main Game): Hunter's Dream, defeat Vicar Amelia of the Cathedral Ward and examine the altar in the back of the room to change the in-game time to night. Pick up item and message will say, "The Eye of a Blood-drunk Hunter beckons hunters to the Hunter's Nightmare. A deformed creature will whisk you away outside Oedon Chapel." When to dive in: Although you can access the Hunter's Nightmare as soon as the game time advances to Night, tackling the new areas this early would pose a severe challenge; you would be at a serious disadvantage against the powerful enemies and bosses that await. For a more balanced experience, a minimum Blood Level of 80 with at least one right-hand weapon upgraded to +9 is recommended. 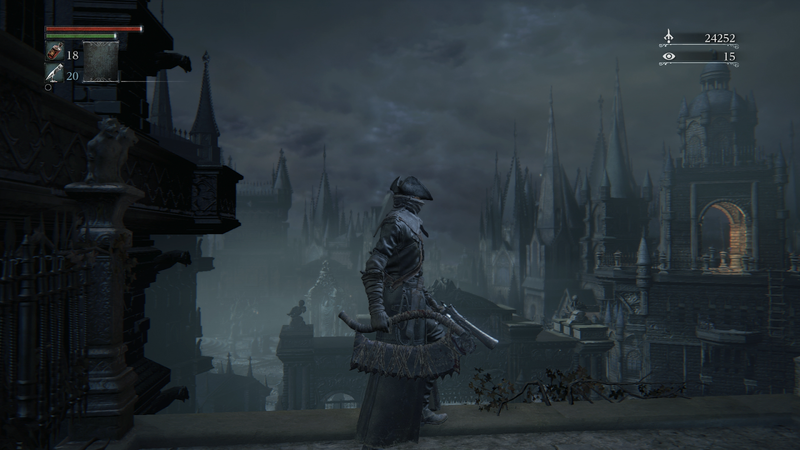 This means either heading into the Hunter's Nightmare after clearing most of the areas in the main game or after considerable Chalice Dungeon play. That said, speedrunners and challenge enthusiasts will find no shortage of opportunities to flex their muscles in these areas by entering as early as possible. 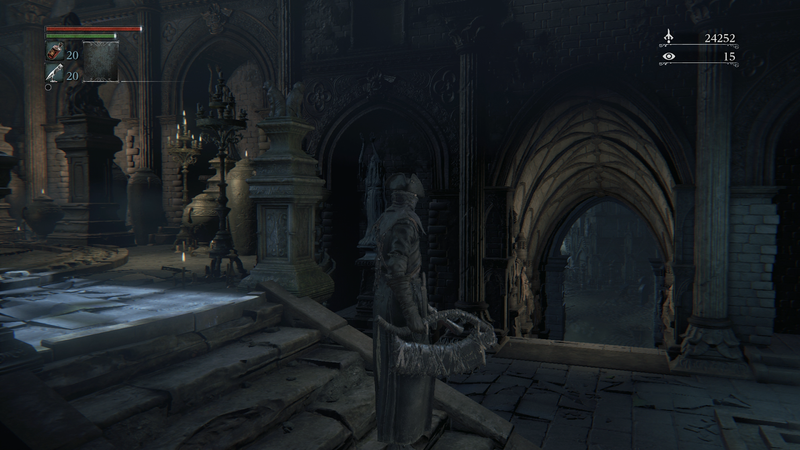 Defeat the boss of the Cathedral Ward and examine the altar in the back of the room to change the in-game time to night. 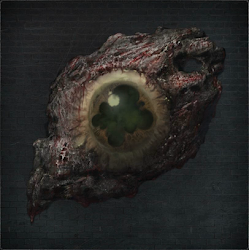 Go to the Hunter's Dream and receive the Eye of a Blood-drunk Hunter from a messenger. Go to the Oedon Chapel and leave via the left-hand exit to enter the square. 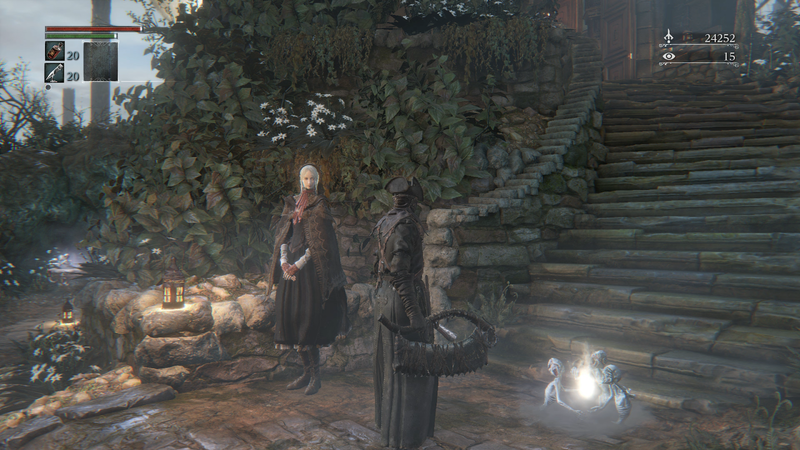 If you start a New Game+ you will have to perform all the steps necessary to access The Old Hunters content again. Go to the right-hand end of the square to trigger an event. 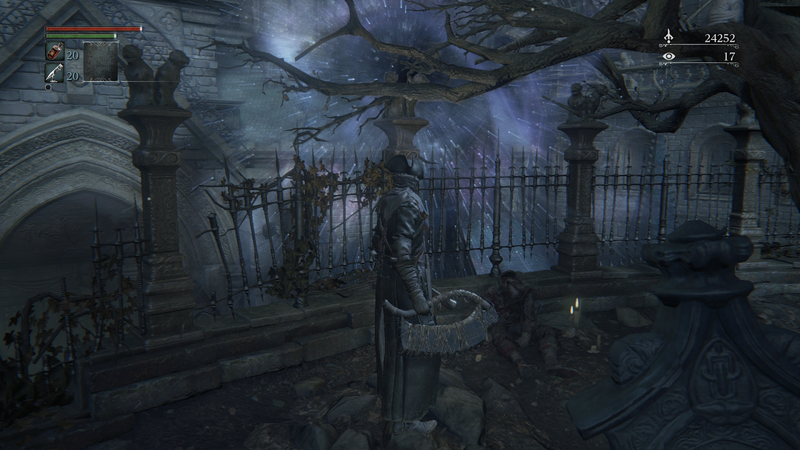 This event will take you to the new area: the Hunter's Nightmare. Lighting the lamp in the new area will allow you to travel to and from the area via an Awakening Headstone in the Hunter's Dream.